No cover, but 1/2 price bottles of wine while we perform! Seth Kibel, plus Sean Lane on piano, Bob Abbott on bass, and a special appearance from guest vocalist Julie Kurzava. Maybe a few other guest appearances, as well! Clarinetist and composer Merlin Shepherd, an innovative force in the klezmer renaissance and Polina Shepherd, a virtuosic vocalist, pianist and composer blend traditional and new Yiddish and Russian song with klezmer and southern Mediterranean music. Witness musical spontaneity and a journey that not only crosses continents, but also takes the audience deep within themselves. Please note that seating will be assigned by the venue based on availability and all efforts will be made to seat your party together. Anat Fort Trio–Chosen for one of the best live shows in 2014 by John Kelman for All About Jazz! Ken Maltz and Sy Kushner‘s combined years of experience in the field of Jewish music is more than 80 years. From time to time, they have collaborated on each others’ projects, Ken recording and performing as a guest artist with the Sy Kushner Jewish Music Ensemble and assisting in the release of Sy’s very popular klezmer music transcription fake books, while Sy has performed with Ken’s bands including Kapelye, one of the first bands of the klezmer revival. They have come together as a duo to perform lesser known, but beautiful works within the klezmer repertoire and beyond. Zion 80 will kick off a six-week residency at Joe’s Pub in NYC, starting on May 5 at 9:30pm. Shows are every Tuesday night from May 5-June 9. Zion 80 will be playing music from their debut CD plus Adramelech: Zion80 plays John Zorn’s Book of Angels vol. 22 and some brand new music. Come on down and join them! Group rates available: email info@zion80.com for details. 47 Palmer Street in the basement of an historic brick delivery and carriage house. It is on the corner of Church and Palmer Streets. Andy Statman, one of his generation’s premier mandolinists and clarinetists, thinks of his compositions and performances as “spontaneous American-roots music and personal, prayerful hasidic music, by way of avant-garde jazz.” This modest man takes for granted that a performer might embody several world in his art, and seems humbled by the fact that his music, like his story, is extraordinary. Jon Madof will be in residency at TheStoneNYC.com from December 2-7, 2014 with performances by Rashanim, Zion80, and a brand new project called Blivet. 10 sets in all! The Stone is located at the corner of Ave. C and 2nd St. in NYC. Admission is $15 per set, payable at the door. The full schedule is below. Klezmer flutist Adrianne Greenbaum presents Eclectic! Electric! Klezical Tradition ensemble, Gypsy Baroque, and old & new Klezmer! Enjoy Chef Jeff Haskel’s terrific brunch; children 13 and younger get in free! A rare London performance by international vocalist / composer Ayelet Rose Gottlieb, as she passes through, en-rout to New York, where she will perform at the Metropolitan Museum with composer John Zorn’s Mycale quartet. Originally from Jerusalem, tonight Ayelet will be singing in Hebrew and English. Her lush, individual sound, combining Jazz, Jewish and Middle-Eastern music is enhanced by percussionist Guy Schalom – one of London’s most prominent musicians – leader of The Baladi Blues Ensemble. songstress Sarah Aroeste and Sephardi DJ Diwan. This is a Sephardic Music Fest teaser night to warm up the city for the festival this December. Fruchter (guitar/oud), Dror Shahaf (darbuka), and Dan Aran (drumset and percussion). ASEFA has joined the roster of art ensembles for the Brooklyn Arts Council. This is part of the World Music Series at this very hip DC performance space. Kleztet on first, followed by the Bengalese/Jazz fusion band Bangla Avenue from 10 to 11 pm. For this performance, the Kleztet will consist of yours truly, along with bassist Scott Harlan and violinist Susan Jones. Special guests, including percussionist Faheem Khemani and guitarist Cristian Perez, will be joining us for a few songs. Crazy world music jamming is sure to ensue! experimentation…” — NATE CHINEN, New York Times, February 2013. DETAILS: Charming Hostess performs music from The Bowls Project. The Bowls Project offers a visceral, personal connection to daily life 1500 years ago in the region now known as Iraq. For this show, Charming Hostess is Jewlia Eisenberg, Marika Hughes and Brandon Seabrook. SEFARDIC WORLD JAM with Moshe Weidenfeld, Samuel Thomas, Dror Shachaf, Elie Massias and special Guests. David to be joined by his full NYC band! Ayn Sof Arkestra and BIgger Band is on the menu at the Jewish Music Cafe. Shows will be the last Wednesday of the month. The first show is a special double feature with Zion80, Jon Madof’s electric pairing of the music of Shlomo Carlebach with the pulsing rhythm of Afro-beat as played by Fela Kuti. Ayn Sof will play at 8:30, Zion80 at 9:30. Cover price: Admission $8, includes the 4 bands! junction of instrumental pop, jazz and avant-garde. “Bavarian +Yiddish” or — “oompah meets kosher” It’s the end of the world and we’ll yodel along. Samuel Thomas, Elie Massias, Yoshie Fruchter, Eric Platz and Special Guests! on Tzadik Records will be released in 2013. Klezmer & Balkan team up and hit the famed stage of the Public Theare’s Joe’s Pub. It’s SATURDAY, it’s NIGHT (motzey shabes), it’s LIVE. What could be better? – YOU attending this event! Litvakus band led by Dmitri Zisl Slepovitch performs traditional pieces of the Lithuanian and Belarusian Jewish community, as well as Zisl’s original compositions, creating a bridge between the old-time North-Eastern European shtetls and the present-day New York’s folk, klezmer, and theater scene. $10 cover +$10 food/drink minimum. Full menu & bar available. Culinary & culltural landmark. Debra Kreisberg, clarinet & sax. Rachelle Garniez, accordion & piano. guest klezbian Rick Faulkner, trombone. This musical performance is under the rubric of Cornelia Street Cafe’s cutural “JewFest” — band’s live music at 8:30Pm show, following the 6PM screening of Lilly Rivlin’s documentary “Grace Paley: Collected Shorts” (which includes recordings from both Isle of Klezbos and the band’s sibling ensemble, Metropolitan Klezmer, on the feature soundtrack). Check out the 15-piece Jewish Afrobeat band as Zion80 kicks off their summer weekly residency on Monday, July 2! Featuring some of the most exciting musicians in New York City, Zion80 plays the music of Shlomo Carlebach with arrangements inspired by Fela Kuti. The band is directed by Jon Madof of Rashanim (Tzadik Records). Ave. C & 2nd St.
Isle of Klezbos sextet hometown show! Dinner also available upstairs pre-show. אנחנו מגיעים לאוזן בר כחלק מסיבוב הופעות בארץ ובעולם. הארדקור כלייזמר וגוד וייבס מובטחים יחד עם אורחים והמון המון שמחה. בואו לחגוג איתנו את השנה החדשה! ההופעה תתחיל בזמן – 20:30! Williamsburg, with our Montreal friends Flotilla–fantastic musicians. http://www.zebuloncafeconcert.com ), Williamsburg we play 9 pm sharp, free! After nearly 5 years of silence, Naftule’s Dream is back!!! Playing our hits from the past like “Job,” “The Sitting Man” and that family favorite, “Free Klez.” Join us for a great end of the week concert at our favorite performance venue. Glenn Dickson, clarinet; Gary Bohan, trumpet, Michael McLaughlin, accordion; Andrew Stern, electric guitar; Jim Gray, tuba; and Eric Rosenthal, drums. “New Songs, New Band – New Show!”. New Songs, New Band – New Show! Isle of Klezbos returns to City Winery’s klezmer brunch, celebrating the band’s 13th birthday** (our all-gal sextet debuted in 1998!) Soulful, fun-loving, hard-swinging Yiddish-rooted musical adventures: great new tunes too. Full menu, great venue, fine wines & sight-lines! No minimum order. Live music 11am-2pm; seating & brunch from 10am on. Tickets $10, kids under 13 enter free. Their differing roots and their multiple passion for music unites them: YAEL NAIM releases a second, four-handed album together with DAVID DONATIEN, as a new collection of graceful songs. After the worldwide success of the feel-good album, released in 2007, YAEL NAIM unveils her second album today « She Was a Boy ». Closeted in a Parisian apartment for two years, YAEL NAIM and DAVID DONATIEN perfected Yael’s songs in Hebrew and English, which culminated in a commercial and artistic success (Victoire de la Musique 2008, for the Album of the Year World Music category). Every Sunday Morning, combining live music and food in a fresh, cultural environment, City Winery’s Klezmer brunch series pairs some of the greatest musicians in the world with delicious lox, bagels and other tasty fare on our brunch menu on Sunday mornings from 10am to 2pm. **Please note that the live music is played from 11 a.m. to 2 p.m. with a short break in the middle. Tickets are just $10 to cover for live music and does not include food or drink. Children 13 and under are free for the music. We have a full brunch menu available upon request. On select weekends we welcome Rabbi Dan Ain from The New Shul to lead thoughtful discussion on theology, spirituality and the movements of the cosmos. City Winery begins brunch seating at 10am. Full menu & winelist (no minimum order). Tickets $10, kids under 13 enter free! The $10 cover includes a copy of “Have No Fear”. 3 AMAZING BANDS. ONLY $8. 8th Day live in concert! Guitar virtuoso Ari Boiangiu will open the show and then join 8th Day for an amazing set sure to wow all who attend. YA’ALILI!!! Enjoy the US premier performance of the Israeli band, Shabate. Led by renowned Ethiopian singer and saxophonist, Abate Bihurim, the group creates a unique fusion of Ethiopian Jazz, afro rhythm grooves and traditional Jewish soul. With its global influences and exceptional musicianship, Shabate is fast becoming one of the most fabulous statements in Israel’s contemporary music scene. This is a fundraiser for BJMF so come out and enjoy the music while supporting next year’s Festival. Join in on a night of Torah and Music! come eat food, listen to music, experience the Sokolow… it will be great! Cover: $15 includes your choice of a beer or glass of wine. Susan McKeown and Lorin Sklamberg‘s acclaimed concert of rare songs drawn from the Irish and Yiddish traditions returns to Park Slope?s intimate performance space, hot off their recent tour of Germany, Switzerland, Denmark and France. With guitarist Aidan Brennan. The best Klezmer Bar Band around teams up with Portland, OR’s answer to the same Jewish-Balkan-Gypsy question. Expect many types of dancing. the rocking odyssey of Edom. and Yuval Lion – drums. Come join the Ayn Sof Arkestra and Bigger Band for a special middle of Passover Concert. The midweek of the Festival of Passover is traditionally a time where the celebration of the holiday is stretched into the mundane workaday world, called “Chol HaMoed”. Come join Ayn Sof for the holiday celebration! We may even break out the Slivovitz! HADAG NAHASH – Booming out of Jerusalem in 1996 HADAG NAHASH, became the biggest band Israel has to offer. Its music combines fresh Hip Hop, rock, reggae and funk sounds, and serves as a melting pot of tight grooves with Middle Eastern flavor. Their unique sound attracted many dedicated followers, as well as vast media reception. They’ve gained momentum year after year, and today are considered the best selling Hip Hop artist in Israel. In addition to a headlining LIVE appearance, PURIM at City Winery will see DJ sets by DJ Moshe Bonen(Maydalleh), special Purim cocktails, munchies, sweet treats and special surprises, costume contests and more. Presented by TEEV Productions, MAYDALLEH and CITY WINERY. Join the band and special guests for a celebration of klezmer. Surly specials – Mild Firkin – $2.50 pints, pentagram, moe’s bender, aha rally beer. Beer and beast dinner special feat. Chipotle chicken. Thrillist.com Anthem Contest winner will receive personal anthem. Patrons of show can pat winner on back and well wish. Yiddish Princess of Brooklyn, Electric Simcha of Philadelphia and .357 Lover of Brooklyn will create the greatest send off of all time. Asaf Avidan & the Mojos have evolved from an anonymous, young, Jerusalem based band – to one of the most exciting promises of the Rock & Roll world. The band has just completed a full scale and highly successful summer tour in Europe, playing on huge stages in festivals, as well as clubs and TV shows across the continent. They have been getting spectacular reviews and praise from fans and the media wherever they go. Lucky Break, a band of veteran bluegrass singers and instrumentalists who combine the stark beauty of Appalachian music with Shabbat Z’mirot (Sabbath songs). Now you can experience the blending of traditional American bluegrass music with Shabbat Z’mirot during your Jewish-themed events. Lucky Break is a roots-oriented bluegrass band that brings a traditional and expressive voice to the genre while providing a fresh approach to the songs of the Sabbath. Once you hear the rockabilly influence on “Shalom Aleichem” and the Celtic flavor of “Tzur Mishelo” you’ll never think of Shabbat Z’mirot the same way again. Community Synagogue, 325 E. Sixth Street | New York, NY 10003.
out and support the series! Eyal Maoz (acoustic guitar) / Avi Avital (mandolin) – solos and duets. joined by Ribot or Cappelli. guitarist of John Zorn’s Cobra. Avi Fox-Rosen’s HANUKAH SPECTACULAR at Banjo Jims! Celebrate the Miracle of Successfully Resisting Cultural Hegemony! Easy Peasy!!! By going to hear your three favorite bands playing perverse derivatives of Jewish music. And screwing the 5th bulb into Avi Fox-Rosen’s Electric Hanuka Lamp. on SUNDAY DECEMBER 13th, 7pm. LESS, SARAH AROESTE, and CHANA ROTHMAN. Latkes, gelt, and sweet tunes. If you’re in Philly, try to make it!! is Ben Holmes (trumpet), Uri Sharlin (accordion), Dan Loomis (bass) and Jeff Davis (drums). Fern Lindzon, Bill McBirnie, Neil Swainson & Nick Fraser @ Chalkers! Saturday, December 5 at 6:00pm. Event: Fern Lindzon, Bill McBirnie, Neil Swainson & Nick Fraser @ Chalkers! Come and see what all the fuss is about at Chalkers Pub and why it is a favorite venue for so many of Toronto’s top jazz performers. The club has a lovely Yamaha piano, great sound, fabulous food and a comfortable and intimate environment for listening to music. EDOM, the group led by one of the new guitar heroes of modern avant-jazz EYAL MAOZ will also be celebrating the release of their new album Hope and Destruction – out now on Tzadik Records. An evening of visual art, music, video, spoken word, graffiti and dialogue about culture, faith and identity. Artists from different traditions using different forms of expression taking over and transforming a space. past the rt 95 S entrance. We will pay tribute to NEA honoree Beyla Schaechter-Gottesman, bringing contemporary styling to Beyla’s wonderful Yiddish songs. Don’t miss this one!!! A special Fall concert featuring dynamic world music acts blending a multitude of influences in a harvest of Latin, French, and Sephardic sounds. International acts Out of Isla, Sarah Aroeste and Nadina Mauri perform at Puppets Jazz Bar (481 5th Avenue Park Slope- Brooklyn, NY). Sy Kushner will be making a rare public appearance when he performs at City Winery* on Nov.1. He will be playing original tunes from his newly released CD, “Journeys”. 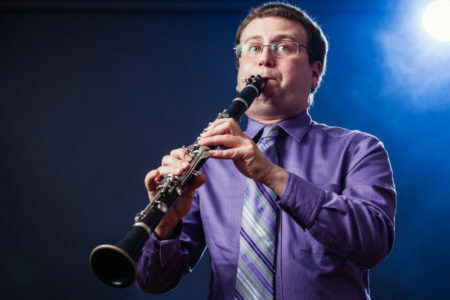 Accompanying him will be some of New York’s top klezmer musicians. Sy was one of the founders and musical director of The Mark 3, a trendsetting Jewish music ensemble in the mid 60’s. More recently, he has released 3 CDs as well as books of transcriptions of both his own music as well as klezmer classics. MW Klezmer Trio plays a special concert in Cambridge at the Western Front Club, Presented by the New England Conservatory of Music. celebrating the 40th Anniversary of the NEC Jazz Dept.